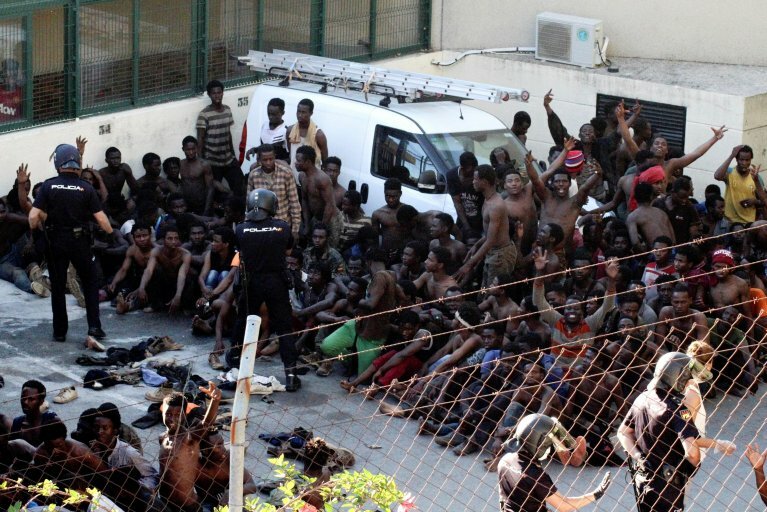 The Moroccan Association for Human Rights (AMDH) recorded 340 "irregularities" against migrants by Moroccan authorities in 2018, 79 percent of those in reception camps. The NGO had monitored about 15 tent cities in northern Morocco, where between 2,000 and 3,000 foreign migrants were waiting to cross the border. AMDH said that a "campaign of targeted repression" had led to 9,100 foreigners being taken to jail in Nador and about 15,000 in Tangiers. According to AMDH, a climate of terror was predominant now, with families being separated from their children and 260 regularization requests still pending. The city Nador has become a place that "bans migrants," who are tolerated only if they "stay in reception camps," it explained. However, many of the centers that are supposed to be providing assistance have become "collection centers ahead of expulsion." In 2018, there were over 20 arrest campaigns in Nador during which 650 minors ended up behind bars. They were later released in other areas of Morocco and left in the streets without assistance and ready to make more attempts to escape. The association suspects that Morocco would like to make it seem as though it is under a great deal of migration pressure, when it actually isn't. According to figures released by the interior ministry, there were over 88,000 attempts to flee and over 70,000 arrests in 2018, a 37 percent increase on the previous year. However, these figures do not take into account the fact that every migrant can make several attempts to flee the country, it said.